Please join us this Monday as we spend Indigenous Peoples' Day discussing the cross section of environmental advocacy and social justice and the significant impact frontline communities have on these issues with Professor Nadia Ahmad of Barry University School of Law (Official). Barry students, join us to get your Cultural Competency Hours completed before the deadline! Please join us for our first annual Ecological Immersion Academy entitled Protecting Florida's Springs! For more information, please see the agenda below (agenda subject to change). For more information, please contact us at kmcgee@barry.edu. CEJ will be present at the Deland Water Festival this year! Stop by and see us. Event Sold Out! Both screenings are completely full. Please email MStewart@barry.edu for further information, or visit the eventbrite below to be on the waiting list. Following in the footsteps of a wandering Florida black bear, three friends leave civilization and become immersed in a vast and unexplored wildlife corridor stretching from the Everglades to the Florida-Alabama border. The rugged thousand-mile journey by foot, paddle, and bike traverses Florida’s Forgotten Coast – a wilderness that has the potential to transform the way we see the natural world. Please join us in viewing this important and fascinating film at the Orlando Science Center on May 10, 2016. Meet and Mingle Hour begins at 6:00 p.m and screening begins at 7:00 p.m. Join us afterwards for a discussion panel with the Florida Wildlife Corridor. This event is free to registrants, with all proceeds benefiting the Florida Conservation Voters Education Fund. The Florida Conservation Voters Education Fund is a non-partisan, non-profit 501(c)(3) organization dedicated to educating and mobilizing voters and raising the profile for conservation issues statewide. However, registration is required for entry. Parking is available onsite at no cost to attendees. Attendees will be able to purchase The Forgotten Coast: Return to Wild Florida DVD and The Forgotten Coast: Florida Wildlife Corridor Glades to Gulf Expedition Book from the Florida Wildlife Corridor the night of the event. If you would like to donate to the Florida Wildlife Corridor, please visit https://floridawildlifecorridor.z2systems.com/np/clients/floridawildlifecorridor/donation.jsp. 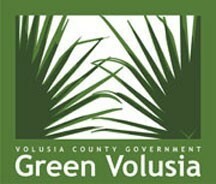 Information will be presented on the Ocala-Wekiva Greenway Florida Forever Project. No, there are no ID requirements or age limits on this event. However, please bring your ticket with you to the event. 2. What are my transport/parking options getting to the event? Parking is onsite and free to the public. The Garage is located south, across Princeton St., from the Science Center. Bicycle racks are located on the Ground Level garage next to the elevator, outside on the west side of the parking garage out by the employee gate and on the northwest side of OSC at the bus entrance. 3. Where can I contact the organizer with any questions? If you have any questions, please contact us at mstewart@barry.edu. 4. Do I have to bring my ticket to the event? Yes, please bring a printed or electronic copy of your ticket to the event. We have limited space available and will require a ticket for entry. This event is free, therefore, there is no refund policy. However, if you register and find that you cannot attend, please let us know by contacting mstewart@barry.edu. Yes. Any proceeds from this event will benefit the Florida Conservation Voters Education Fund. Please visit http://www.fcvoters.org/ for more information regarding Florida Conservation Voters. You can also make a donation to the Florida Conservation Voters Education Fund through this Event page. If you would like to make a donation to the Florida Wildlife Corridor, the creators of the film, please visit https://floridawildlifecorridor.z2systems.com/np/clients/floridawildlifecorridor/donation.jsp. 7. What is the Meet and Mingle? Beginning at 6:00 p.m., all attendees will receive a drink ticket upon check-in and are invited to enjoy food and beverages provided by Millennia Catering. Meet & mingle with the sponsors of the event. The Florida Wildlife Corridor will also be there with copies of both The Forgotten Coast: Return to Wild Florida DVD and The Forgotten Coast: Florida Wildlife Corridor Glades to Gulf Expedition Book. To support the Florida Wildlife Corridor, please visit https://floridawildlifecorridor.z2systems.com/np/clients/floridawildlifecorridor/donation.jsp. 8. Who are the Sponsors of this event? This event is sponsored by the Center for Earth Jurisprudence, the Florida Wildlife Corridor, the Friends of the Wekiva River, the League of Women Voters Orange County, the League of Women Voters Seminole County, the Seminole Audubon Society, the Orange County Audubon Society, and the Sierra Club Central Florida Group. Please see their websites below for more information. 9. What is the Florida Conservation Voters Education Fund? The Florida Conservation Voters Education Fund is a non-partisan, non-profit 501(c)(3) organization dedicated to educating and mobilizing voters and raising the profile for conservation issues statewide. 10. What is the Ocala-Wekiva Greenway Florida Forever Project? This project is an important link between Ocala National Forest and the extensive state holdings along the Wekiva River. It is habitat for many rare animal species including the Florida black bear, the Florida sandhill crane, bald eagle, Eastern indigo snake, Florida scrub jay, Sherman's fox squirrel, Florida scrub lizard and gopher tortoise. It incorporates most of the forested wetlands along the St. John and Wekiva Rives between Orlando and the Ocala National Forest. The St. Johns River site consists of three large bottomlands and adjacent uplands between three existing state ownerships. The Seminole Springs/Woods site is reported to have 50-75 springs within its boundary. The Wekiva-Ocala Connector site provides a wildlife movement corridor between the Ocala National Forest and the other portions of the project along the Wekiva River. For more information on this and other Florida Forever Projects, please visit http://www.dep.state.fl.us/lands/FFplan_county.htm. Tuesday, Feb. 9, 2016: Rights of Nature: What Are They? Join us for this two part webinar! 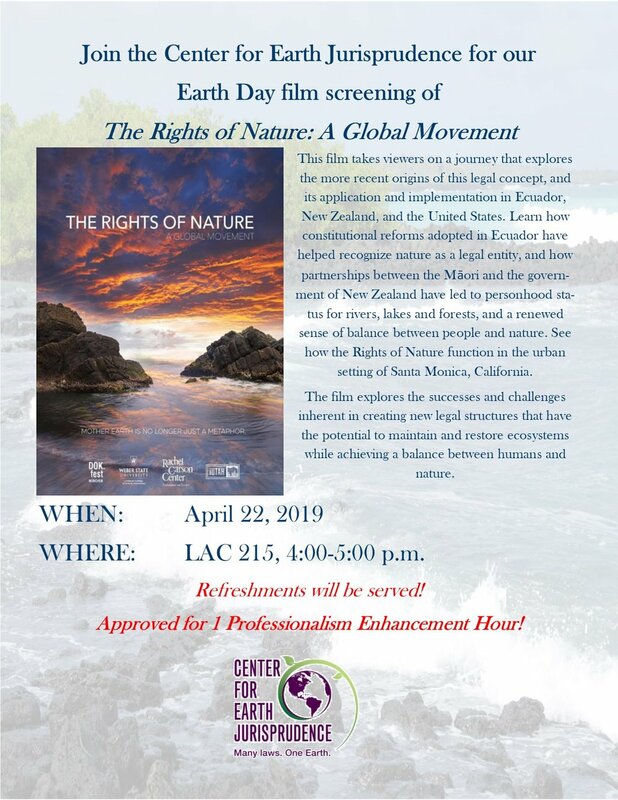 The first half will be lead by Sr. Pat Siemen, lecturing on the history of the Rights of Nature movement and answering the question "what are rights of nature?" The second half will showcase Shannon Biggs from Movement Rights addressing Community Rights. Shannon is co-founder and Director of Movement Rights, which focuses on assisting communities confronted by corporate harms to enact binding laws that place the rights of communities and nature above the claimed legal “rights” of corporations. She is the co-author of two books, Building the Green Economy: Success Stories from the Grass Roots and The Rights of Nature. She is also a leading international speaker, author and activist on the growing movement for Rights of Nature. For registration or further information, please e-mail Traci Deen or call (321) 206-5779. Please RSVP at least 48 hours before each program. Directions for participation will be sent to you. Please indicate below which webinars you plan to attend. Thank you! Highlights of Third International Tribunal on the Rights of Nature and the December 2015 Paris Climate Summit. Please join us this fall for two events highlighting the myth and magic of Florida springs. 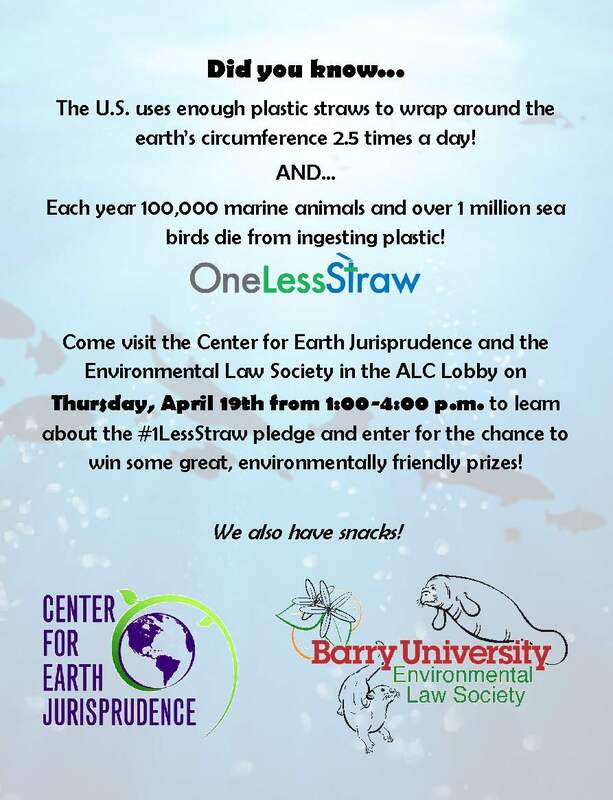 Both events will be held at the Barry University School of Law, 6441 E. Colonial Drive, Orlando, in the Legal Advocacy Center, room 311, beginning at 6:00 p.m. Admission is free and refreshments will be served. On September 19, 2013, springs artist Margaret Ross Tolbert will present her unique artistic perspective on the Floridan aquifer and the numerous springs of central and northern Florida. Margaret began painting the springs after experiencing their beauty through a diving mask. She was then moved to action because she could see the springs changing before her eyes. One result was the acclaimed book AQUIFERious, which received a Florida Book Award gold medal in 2010. Read more about Margaret’s work on her website, MargaretRossTolbert.com. We are delighted that award-winning nature writer and documentary filmmaker Bill Belleville will be introducing Margaret and joining her for an informal question-and-answer session following her presentation. Bill and Margaret will be collaborating on a new film, Hidden Secrets of Florida Springs, produced by Equinox Documentaries. Bill will also talk about his new book, now in the final manuscript stages. Stay abreast of Bill’s work by visiting his website, BillBelleville.com. On October 17, 2013, graphic designer Rick Kilby will showcase his “Old Florida” viewpoint in a presentation that traces his journey from an obsession with Ponce de Leon collectibles and ephemera through history and culture to realizing the importance of Florida’s natural wonders to the state’s tourist and newcomer economy. Rick’s book showcasing his collection, Finding the Fountain of Youth: Ponce de Leon and Florida’s Magical Waters, has just been released. Learn more about Rick’s kitschy perspective via his website, FloridasFountainofYouth.blogspot.com. Two nights, two opportunities to connect with these committed folks, with what they care about, and with ways we can all better protect Florida’s waters. CEJ is so pleased to host them!